Mercedes-Benz’s comfortably sporting midsize moves from 18 distinct characters at the 2014 redesign to 19 for 2015, but not without a good bit of shuffling. The V6 E350 coupe and convertible and V8 E550 sedan are now displaced by an all-new E400 with a 3-liter twin-turbocharged V6. Unlike the previously debuted E400 Hybrid Sport Sedan, these E400 models are pure gas machines available across most E-Class body styles—including sedan, coupe, wagon, and convertible—except for the wagon, and are available with rear-wheel-drive (RWD) or 4Matic all-wheel-drive (AWD) setups. A RWD E-Class sedan can be had in E350, E250 BlueTEC, and E400 pure-gas and Hybrid trims. The AWD sedans include the E350, E250 BlueTEC, new E400, and E63 AMG. 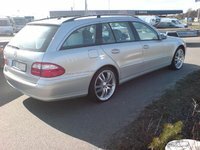 Wagons still include the E350 4MATIC and E63 AMG 4MATIC. RWD coupes and convertibles include the E550 and new E400, with that new E400 only a coupe and the only AWD option. All E-Class trims still use the same 7-speed automatic transmission, and feature content has not changed year over year. Sedans still seat 5, wagons fit up to 7, and coupes and cabriolets still accommodate 4. Wagons still offer 57 cubic feet for cargo, sedans about 16 cubes, and coupes just over 13, while cabriolets afford a scant 11.5 before dropping the top. Every bit of the 3 inches chopped off the length of a sedan to make a coupe is apparent in rear legroom, but wagons afford a full lineup-leading 36 inches for second-row passengers. That said, taller drivers might find the coupes and cabriolets a bit more accommodating, with almost a full inch more up front compared to the sedan and wagon. Feature content is roughly equivalent from trim to trim, as the real differentiation is under the hood. The same dynamic ride ranges from compliant to masterfully sporting via the mode selector, with exhilarating acceleration times no slower than 7 seconds to 60 mph in any trim. Each setup nevertheless demands different tuning for each of the vastly different engines. The slowest off the line is also the most economical. Proudly claiming that 7 seconds to 60 mph and a lineup-leading 28 mpg city/45 highway estimate is the E250 BlueTEC in RWD form, which drops to 27/42 if you opt for 4Matic. It’s a turbodiesel, of course, but this little 2.1-liter 4-cylinder packs a very modest 195 hp and 369 lb-ft/torque. Next up is the E400 Sport Hybrid sedan, which true to the Sport in its name isn’t as economical as you might think, considering its drivetrain. Rated for a 24/30 diet to feed its 328 total hp and 273 lb-ft/torque, the Sport Hybrid sees only marginal improvement over the 21/30 estimate for the RWD E350 sedan, which shares the same 3.5-liter 302-hp V6, only without the electric motor. Going for the 4Matic E350 drops highway economy by only 1 mpg. Acceleration times for both sit around 5.9 seconds to highway speeds. 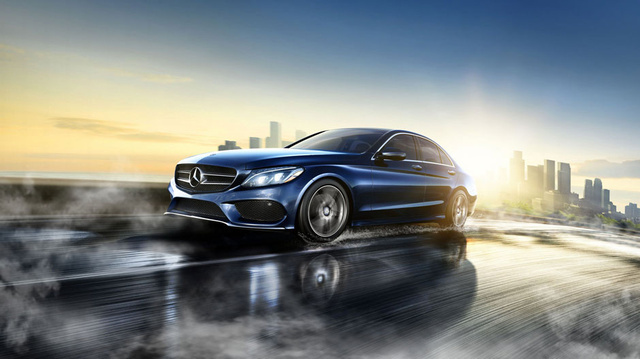 The new E400 fetches precisely the same 24/30 estimate for its 329-hp and 354-lb-ft/torque twin-turbocharged V6. The E550 puts out 402 hp and 443 lb-ft of torque from its 4.7-liter V8, but is now available only as a coupe or convertible and rated at 18/26. The E550 is still more economical than the E63 AMG models, albeit also a full second slower than the E63’s remarkable 3.3 seconds to 60 mph. If you just can’t settle for anything less than the epitome of performance, prepare to shell out to the tune of 16/23 for an E63 in sedan form, or 15/21 for an E63 S-Model or wagon. For this price, however, you’ll get 550 hp and 531 lb-ft of torque from all 5.5 liters of V8 in the E63 AMG sedan, or 577 hp and 590 lb-ft of torque with the S-Model or wagon. What's your take on the 2015 Mercedes-Benz E-Class? Users ranked 2015 Mercedes-Benz E-Class against other cars which they drove/owned. Each ranking was based on 9 categories. Here is the summary of top rankings. 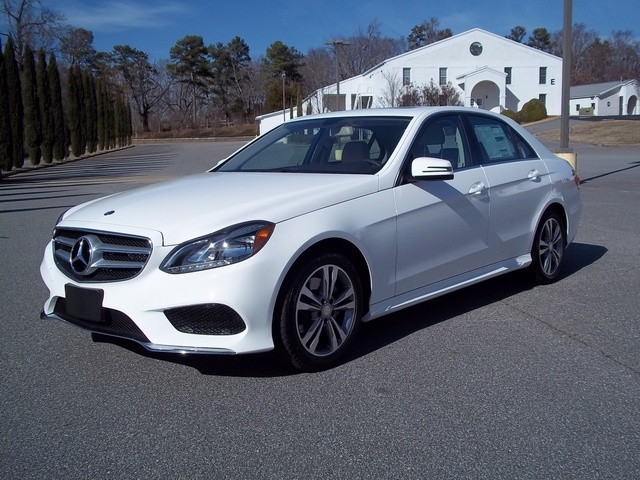 Have you driven a 2015 Mercedes-Benz E-Class? This is showing on the dash can you advise on what needs done.